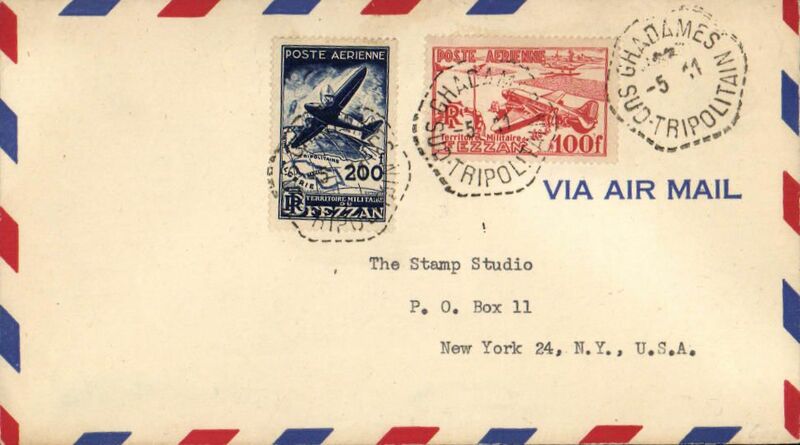 Fezzan to New York, bs New York/Nov 13 1948, airmail cover franked 1949 air set (SG 38,39 Cat £27 used), canc hexagonal 'Ghadames/Sud Tripolitania/5.11/...' date stamp. These were the only stamps ever issued for Fezzan only, a desert territory in N. Africa under French military administration from 1946-51. A super item.